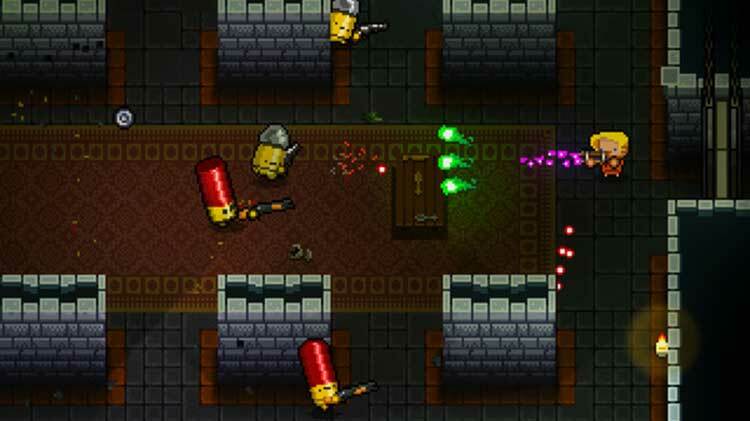 Enter the Gungeon is as heart-pumping as a Die Hard movie, and twice as charming. 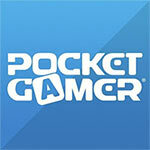 Bullet hell aficionados will be at home, but so will newbies. 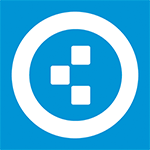 Randomly generated levels make this a perfect pick-up-and-play game, but if you get a few friends in the loop, you can make a total game night out of it. 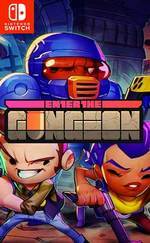 On charm, action, challenge, and fun, Enter the Gungeon fires on all cylinders. 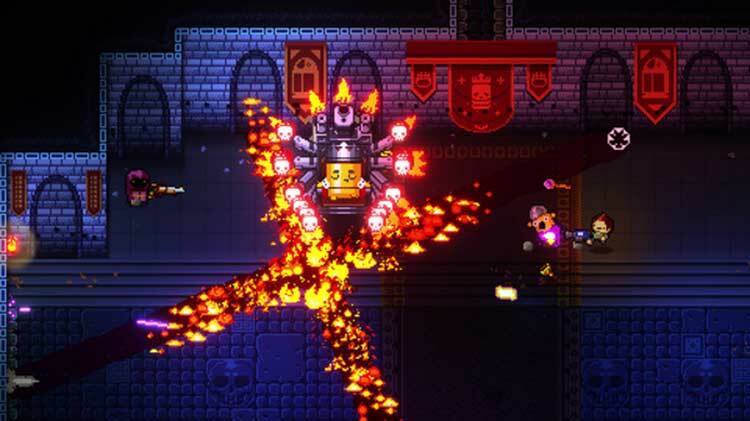 Enter The Gungeon is about as good as it gets for scratching that roguelike itch. 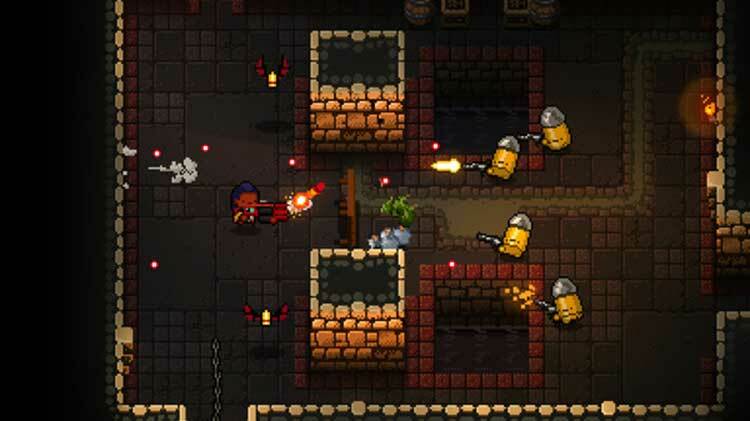 The dungeon-craw- excuse me, “gungeon-crawling” mixed with twin-stick shooting has proven in the past to be a solid gameplay setup, and here mixed in with the smooth dodge-roll mechanic plus the great amount of customizable guns makes every run-through fun and exciting. 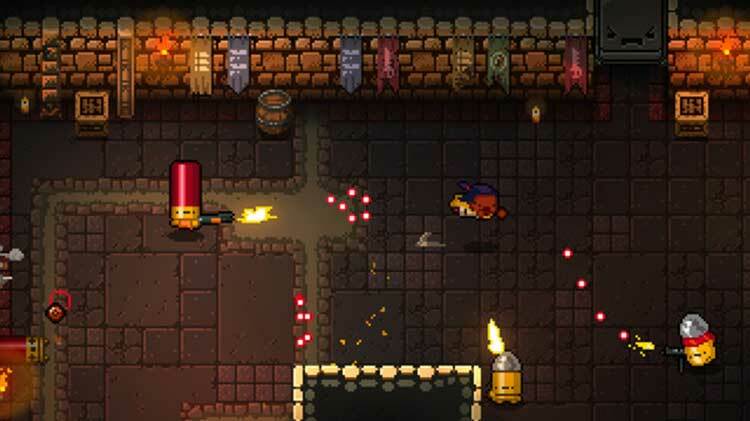 One third bullet hell, one third shoot 'em up, and one third roguelike, Enter the Gungeon is a magnificent blend of three genres that go together impressively well. 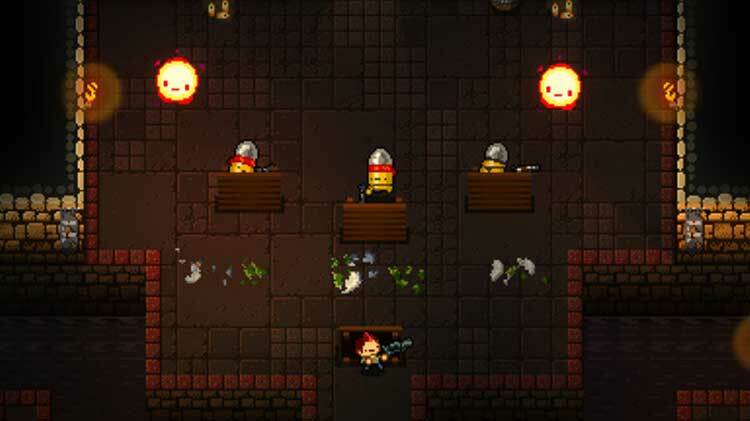 The wide variety of guns keeps each playthrough feeling fresh, regardless of the character chosen, and the diverse enemy design is sure to keep players on their toes as they force their way through the Gungeon. 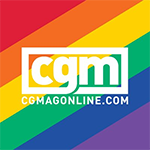 This version boasts some new features, such as co-op and a number of Nintendo-inspired enemies and items, which are the cherry on top of an already excellent package. Enter the Gungeon is a full-clip of awesome, loaded into a gun of perfection and fired onto the most interesting console.